So I've been discussing some lessons I learned from Fullmetal Alchemist Brotherhood. Here is another plotting tool/technique/method that hit me right in the gut--if done right, it can be really powerful emotionally for your audience. 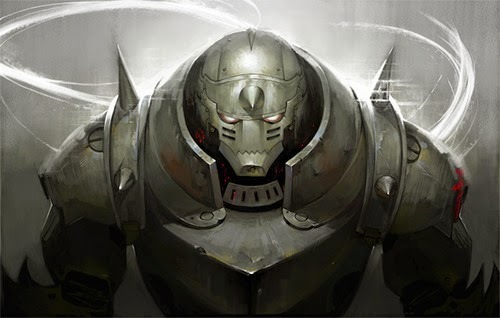 But this post does contain a spoiler, so if you plan on actually watching or reading Fullmetal Alchemist Brotherhood, you'll want to finish it before you read this. Alright, so I mentioned last Monday that one of the main characters, Alphonse, doesn't have a body. 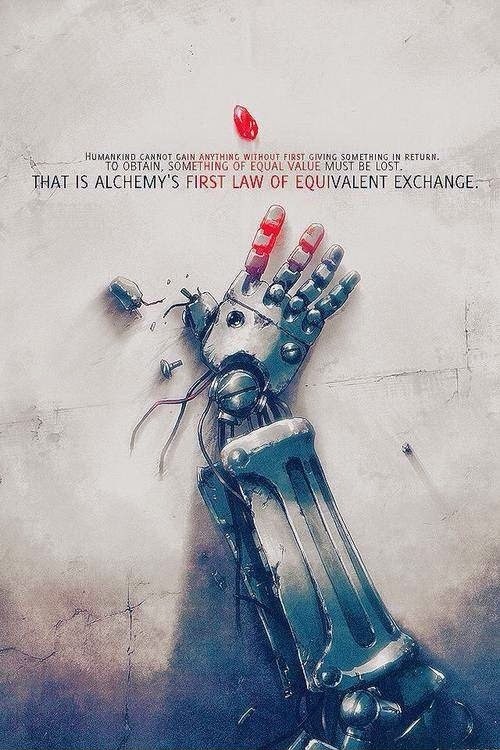 The laws of alchemy require equivalent exchange--you give something to gain something. One of the things Al gave up accidentally during an alchemical transaction was his own body. Ed is missing an arm and a leg. The protagonists' goals for the whole story is to get their bodies back to normal. It's a quest they've been on for years. It's a quest we go on with them for over 60 episodes. They scour the field of alchemy to find a way to do it. 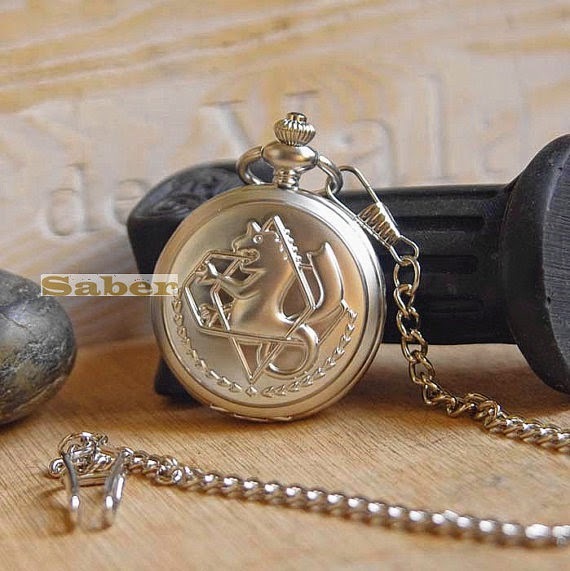 Don't forget I have my Fullmetal Alchemist pocket watch giveaway going on. You must be a follower to win. Favorite or Retweet this tweet on Twitter. Do both to enter twice. Like or Reblog this post on Tumblr. Do both to enter twice. In Fullmetal Alchemist: Brotherhood, there are kind of two main characters. And there are kind of not two main characters. The show follows the story of Edward and Alphonse Elric, two brothers on a quest. What I found interesting though, is that for the opening episodes of the series, Alphonse ("Al") as a character is defined by what he isn't, instead of what he is. Even more interesting, he's defined by Ed's character. Ed, who is really the protagonist here, is loud, hot-tempered, driven, and a talented alchemist. You get that Ed and Al are kind of a tag team, but only because they're going everywhere together. Really, Al is kind of a background character (to begin with). Mostly, we know him by what he's not. He's not loud and hot-tempered like Ed, and he's not as talented of an alchemist. He's not a state alchemist like Ed. Sure, he can pack a punch, alongside Ed. Long backstory short, Al doesn't have a real body. His soul is bound to a suit of armor as a consequence of alchemy gone wrong. That's interesting. But he's in that suit of armor because of Ed. The only real attention Al gets in the opening episodes is because people mistake him as Ed. I haven't seen a character so defined by someone else and by what he is not. I think that's why it took me a while to learn to love Al. At first, I kind of felt like he was just there to foil Ed. That made me think about how we as writers can likewise define our characters by what they are not and by who they are with. Maybe we should look at that more. Here's an example that comes to mind (hope you don't mind the Trigun references, but I've been rewatching it, so it's fresh on my mind), in Trigun, Vash lives in a world where it's normal for people to kill other people. 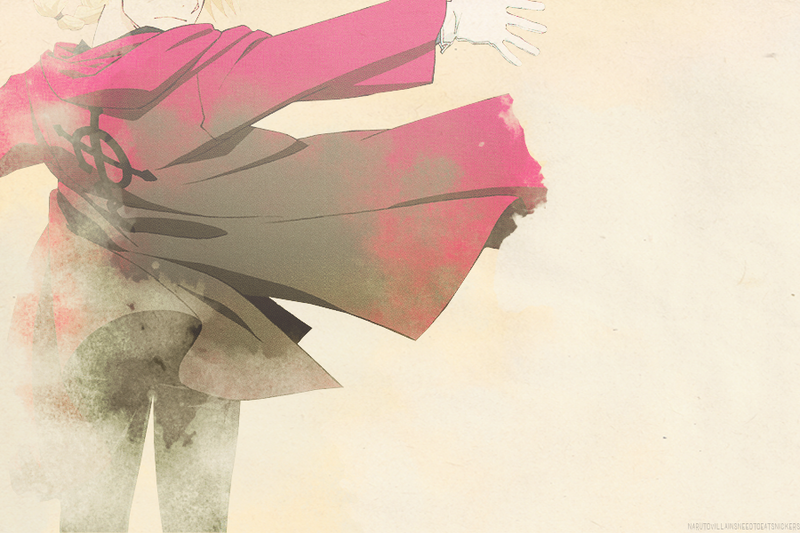 As an audience, by seeing others kill and hurt people so casually, it's easy for us to see what Vash isn't. He's not a killer. I think a lot of writers don't think about defining what their characters are not. Something to consider. Anyway, I fell in love with Al by the end of the series, and I realized that's because I felt like I didn't get to see his real strength and talent until later. Frequently the characters were in situations that favored Ed's talents and abilities, and since Ed and Al are opposites, that often meant situations where Al didn't get to show off his strengths. It's really not until Ed and Al go their separate ways that we see what Al can really do. And it's awesome. That's when I started to love him, because that's when I started to really get to know him. 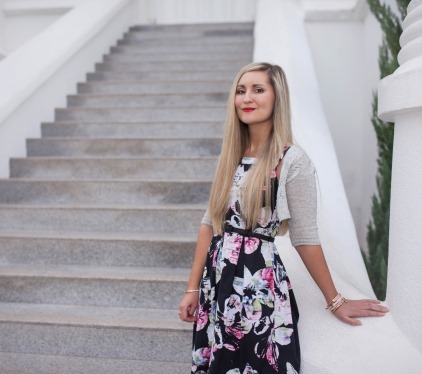 Today I'm here to simply tell you: it's not worth quitting over. Frustrated with whatever you are working on? It's not worth quitting over. People making fun of you and whatever you're doing? It's not worth quitting over. 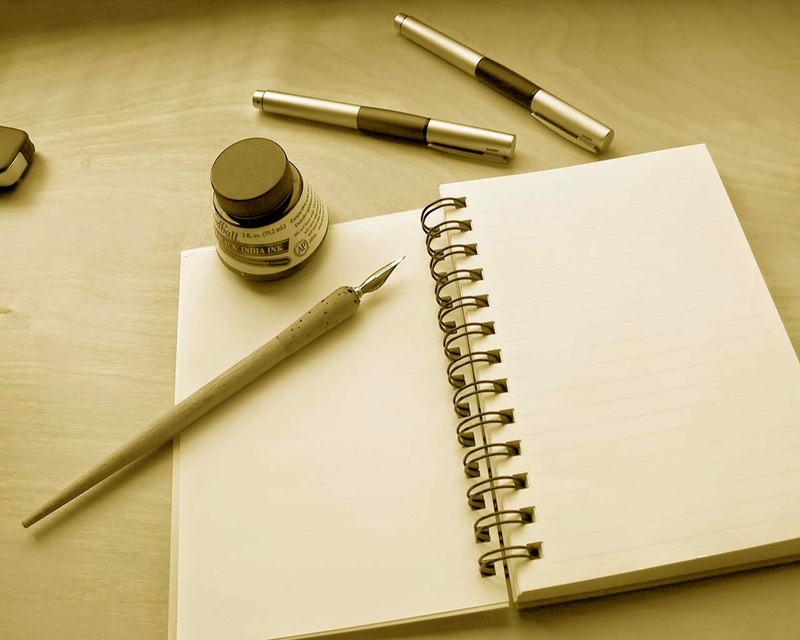 Suffering from writer's block? It's not worth quitting over. Having a bad day? Having a bad life? It's not worth quitting over. Accumulating stigmas? It's not worth quitting over. Whatever is hampering you from reaching your goals, guess what? It's not worth quitting over. You can quit for other reasons, like a change in interest, a better opportunity, a switch in priorities, but don't quit just from being hampered. That slump you get stuck in writing, or that lady down the street who thinks what you're doing is stupid, or the awful day you're having--don't give any of those enough power to make you quit. Don't give them the satisfaction of seeing you quit. They aren't worth you throwing away your goals and dreams. They probably wouldn't even care if you did. So when it gets tough, just take a breath, pull yourself together, and keep going. And remember, it's not worth quitting over. Winner will be selected at the beginning of August. Scroll to the bottom to see more pictures of the pocket watch. And stay tuned for more opportunities to enter. 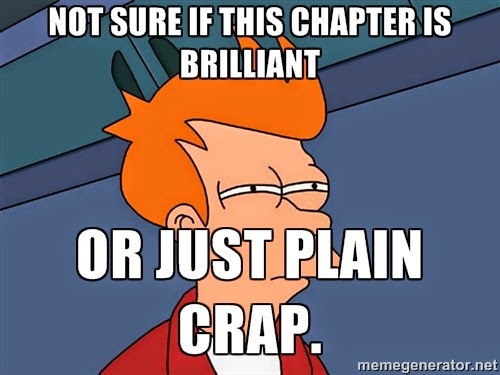 In one of my college classes, we talked about what constitutes a good fantasy or science fiction novel. 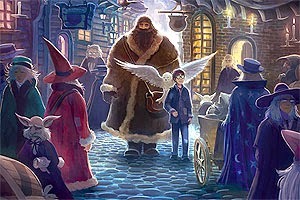 One of the qualities is that the story follows its own rules, meaning, if Harry Potter book one states that it's impossible to magic food into existence, Hermione better not create a bowl of stew out of thin air in book five. The Harry Potter universe has to follow the rules it sets up for its readers. Otherwise, it feels like a continuity error. It doesn't make sense. Or, in other cases, it feels like the rule was broken out of convenience for the plot and as readers we feel cheated. We'll probably question the writer's abilities. The fantasy or science fiction world needs to follow the rules it lays down. . . usually. There is a right way to break your world's rules, a plotting technique that can kick up the heat of your story, and keep your reader glued to the page. In Fullmetal Alchemist Brotherhood the magic system for the world is based on, as you probably guessed, alchemy. An alchemist can break down matter and reassemble it into something else. It's impossible to create a living, functional human being this way. But then the protagonists get stuck in a fight with humans who have crazy abilities and can regenerate. We learn that they are "man-made" humans, called "homunculi," who have been brought into existence through alchemy. So the characters are shocked because it's supposed to be impossible to do. Bam! Rule broken. One of my writing mentors, David Farland, gave this advice in a writing tip: create complex characters by giving them contradictory attitudes. The first time I read that I said, Huh? Isn't that inconsistent characterization? Won't it look like a continuity error, a mistake? I get internal conflicts, but straight-up contradictions? Really? I had a hard time understanding this at first because in my head "contradictions" meant undefined characterization--having moments where your character was out of character. I mean, how can you establish a character when he contradicts himself? How can you lay a foundation for one with that advice? I get it now. It's kind of like having a conflicted character, but not exactly. Not all conflicted characters are contradicting ones, but I think all contradicting characters are conflicted--whether or not the character realizes he is himself. 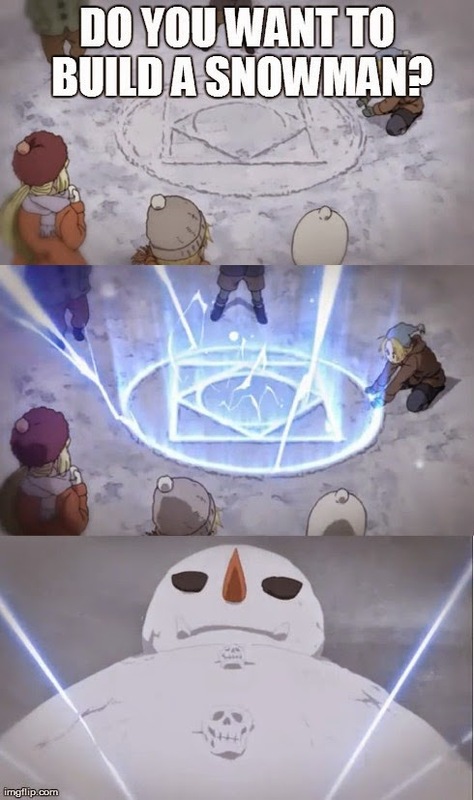 In Fullmetal Alchemist Brotherhood, we learn in episode two that years ago the protagonist, Edward Elric, had an afterlife experience of sorts where he met God. But then in episode three, Ed says he doesn't believe in God. And later still, he says he doesn't believe in praying to a god. There is even one part in the series where he very vehemently proclaims himself an atheist. And yet. . . in other parts, he talks about God and gods as if he believes they exist. He even suggests that he and his brother should pray to God once, even though Ed's not a fan of the guy. So which is it? Does Ed believe in God or doesn't he? internraven said: I'm working on a novel now, and I've got everything planned out- outline, characters, a playlist, etc. I just can't find a first sentence. Do you have any tips for coming up with a good first sentence for a novel? For some people, it's easiest to just start writing and come back and look through what's been written to see if any of it would work as a good first sentence. Then the writer rearranges the first few pages to accommodate that. He finds his first sentence by writing. This is similar to Method 1. The writer just starts writing, and it might be a bunch of rambling stuff that's actually not that important to the story. The writer is just trying find the beginning of the story. When she discovers it, she chops off the starting, where all the rambling is. If you want to start with a good first sentence right off the bat, think of some sort of hook you could begin your opening scene with. The first sentence usually needs to grab the reader somehow. Keep reading for how to do that. 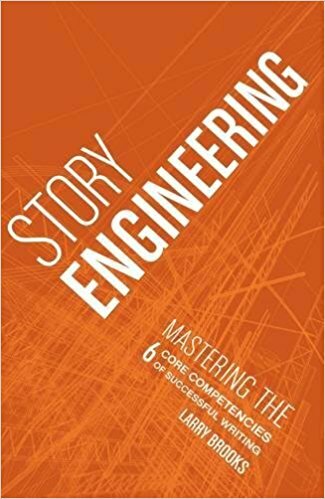 The main elements of a story are character, setting, conflict, and theme. Pick one of those elements and come up with an interesting first sentence to introduce it. The bomb blew apart the grocery store down the street; Grandma Smith listened to the sirens and went back to knitting with a smirk. The opening sentence doesn't have to contain life-altering information to be a great one. It just has to be interesting and make us want to learn more. One way to do this is to create interesting contrasts. Here are some examples I came up. Mom handed me my Birthday present, and my stomach dropped. We usually associate birthdays with happy emotions, but the narrator feels sick about this present, so immediately, we want to why, so we keep reading. It's an interesting contrast. I took twice as long as usual to brush my teeth because Dad always preached the importance of looking your best at funeral.